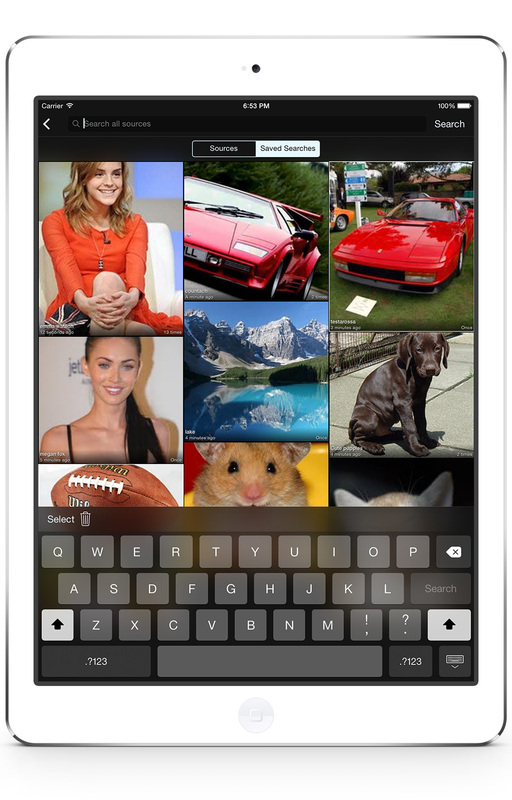 In picTrove 2, any search phrase that you use to search for photos is automatically saved when you reach a full photo view. Saved searches are showed with the thumbnail of the photo you first chose, along with the search phrase itself, when you searched for it, and how many times. Re-using saved search phrases is really easy. Simply tap it to re-query with the same search phrase again. Note that only the search phrase is saved, the results are re-fetched again from the Internet services so you always see the freshest and best photos. The saved searches list will filter as-you-type in the search box, so with a few keystrokes, the matching search phrase is highlighted, ready for you to simply tap. It’s a real good time saver! You can easily selectively delete search phrases that you no longer want. 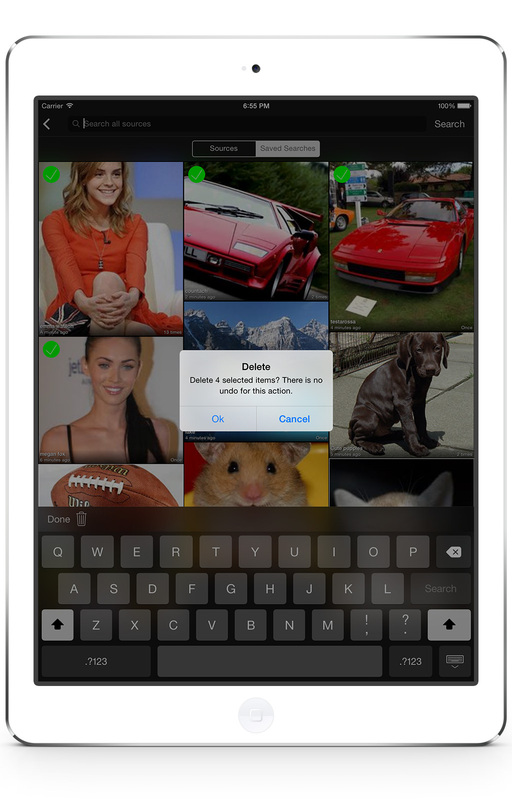 Press the Select button, then tap to select the unwanted search phrases and press the delete button to clear them. Want to clear all of them? Don’t select any search phrase and press the delete button and you can confirm the deletion. There’s also a setting in picTrove 2 to automatically clear saved search phrases every time you go away from picTrove.